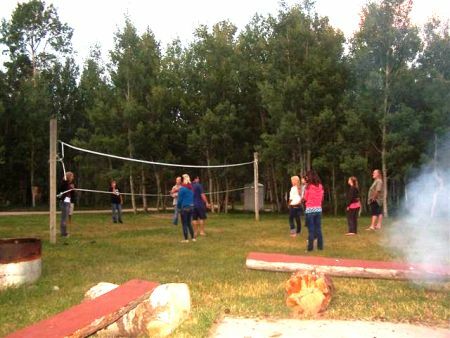 If you need the perfect place for a family reunion, then Squirrel Creek Guest Ranch and Inn has you covered. Private catering is available and custom setups in our facilities for your Special Occasion is never a problem. Please be sure to speak with a member of our staff to arrange all of the details and you can have all the necessities for whatever event you happen to be planning. Whether it be a corporate seminar, someone's birthday, a wedding, or a family reunion. We can make it a special and memorable event for everyone. We will take all of the hassles and worries off of your mind, allowing you sit back and enjoy your vacation. 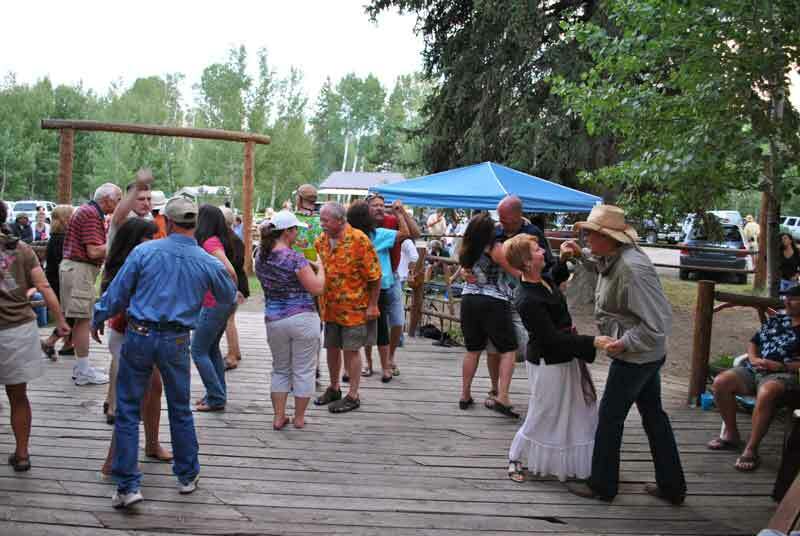 Our Pavilion is perfect for large groups. The Pavilion is a covered picnic area with a kitchen and bathroom. 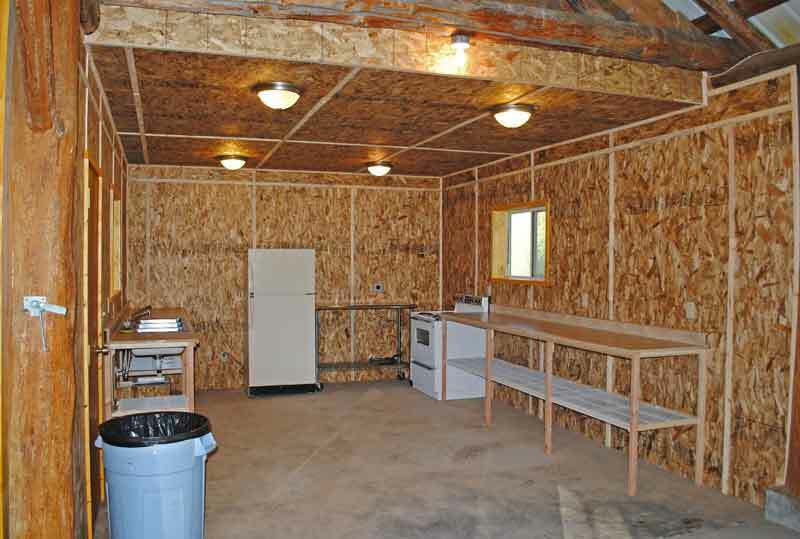 A stove, fridge, sink, microwave oven plus ample counter space and picnic tables makes this the spot to cook and just "hang out". 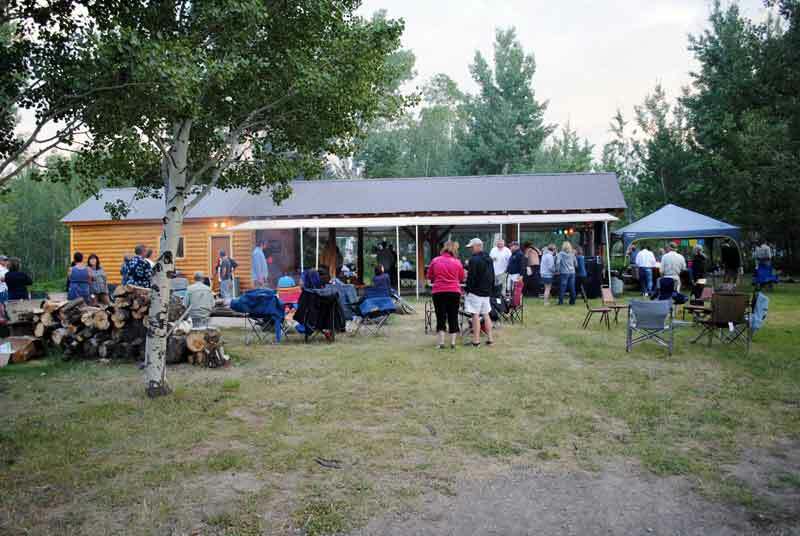 The pavilion is located adjacent to the fire pit where it is perfectly situated for the best in outdoor cooking, and lots of space for everyone to relax and enjoy the scenery. Cook for yourself, or let us cater meals for your event. 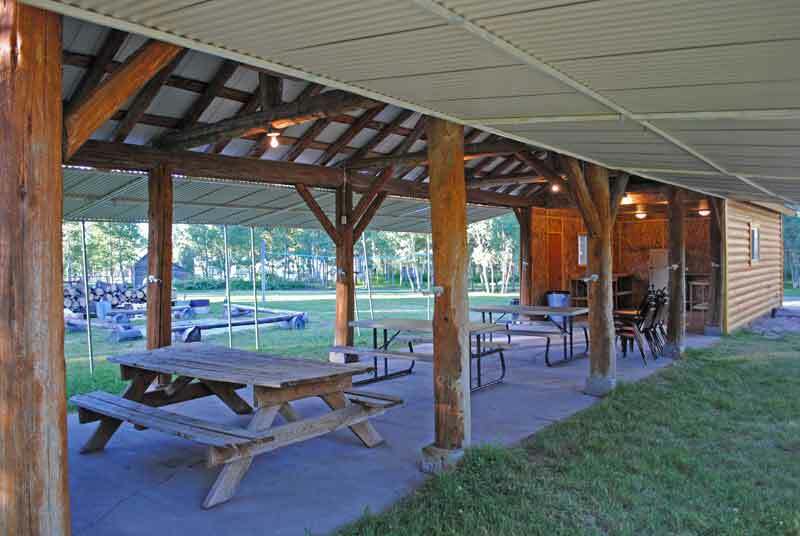 Dining Options- Enjoy great country cooking in the "Outpost" restaurant, or bring your own cooking supplies and dine under the Pavilion in a covered picnic area. Enjoy a great view from our naturally shaded patio. Banquet Facility, Banquet Services- After a full day of hiking, mountain biking, snowmobiling, cross country skiing or downhill skiing you may not want to worry about preparing your meals. Make arrangements with us to prepare a meal or all of your meals during your stay with us. An indoor banquet hall and food preparation facility is available for a wedding reception, family reunion or company picnics.